Kiberd - one of Ireland's leading critics and a central figure in the FIELD DAY group with Brian Friel, Seamus Deane and the actor Stephen Rea - argues that the Irish Literary Revival of the 1890-1922 period embodied a spirit and a revolutionary, generous vision of Irishness that is still relevant to post-colonial Ireland. This is the perspective from which he views Irish culture. His history of Irish writing covers Yeats, Lady Gregory, Synge, O'Casey, Joyce, Beckett, Flann O'Brien, Elizabeth Bowen, Heaney, Friel and younger writers down to Roddy Doyle. 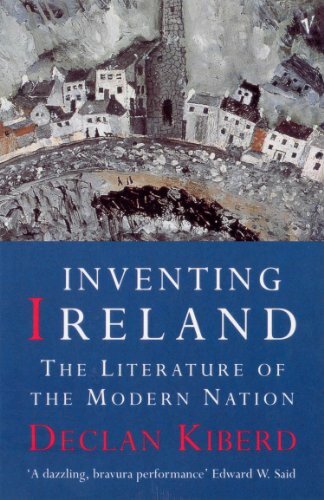 INVENTING IRELAND is the most ambitious critical history of modern Irish literature to have been published for many years. Declan Kiberd argues that the Irish literary revival of the 1890-1922 period embodied a spirit and a revolutionary, generous vision of Irishness that is still relevant to post-colonial Ireland. He develops his story through subtle and surprising readings of Lady Gregory, Synge, O'Casey, Joyce, Beckett, Flann O'Brien, Elizabeth Bowen, Heaney, Friel and younger writers to Roddy Doyle.